Most people just want to see if the have filled in their day/week/month and then complete the rest. 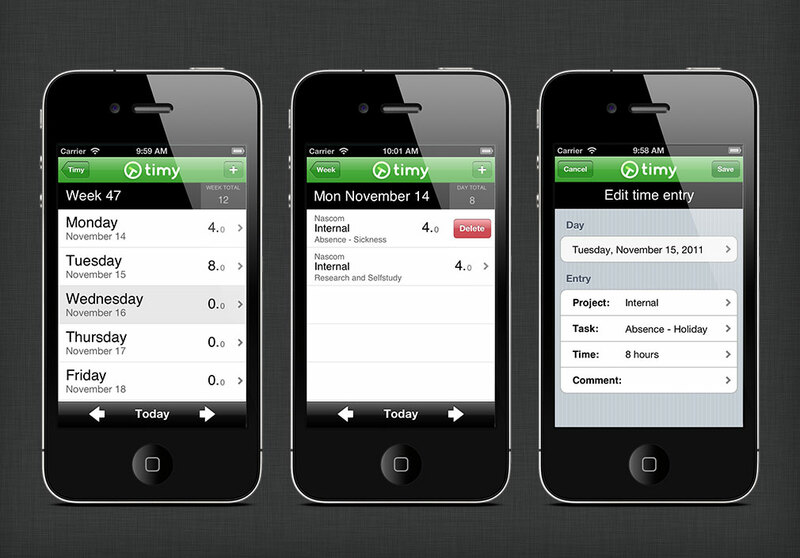 Timy for iPhone starts with a simple week overview showing the totals of all time entries of that week. You can drill down using the standard Table Views that the iPhone SDK provides. DescriptionTimy is great for freelancers, small businesses and professional teams who are using Basecamp and need to track time on a daily, weekly, or monthly basis.